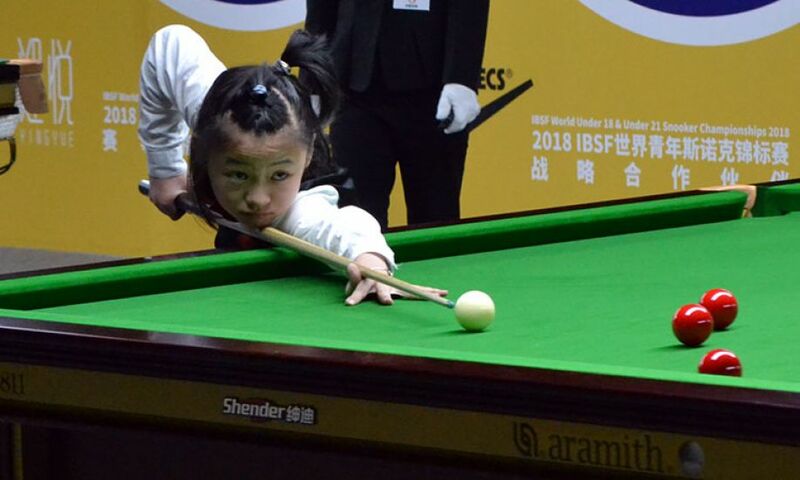 The youngest woman player of the 2018 IBSF World Under-21 Women championship, Jia Yu Shao of China caused a major upset of the competition. Today in her first match, she defeated World Under-16 champion Anupama Ramachandran of India 2-1. The first frame was crucial where she took initial lead but somehow Anupama made a good recovery and came very close to her score but in last moments, Jia Yu Shao won that frame by only two points differences. Though Anupama outplayed her in second frame scoring 53 against 10, but Jia Yu once again dominated the last and deciding frame to move ahead with 65-36 win securing her first match win on her world championship début. Multiple time world champion, Siripaporn Nuanthakhamjan of Thailand had an easy win against New Zealand player Michaela Spencer. She beat Michaela 2-0 having a break of 37 points in the second frame.